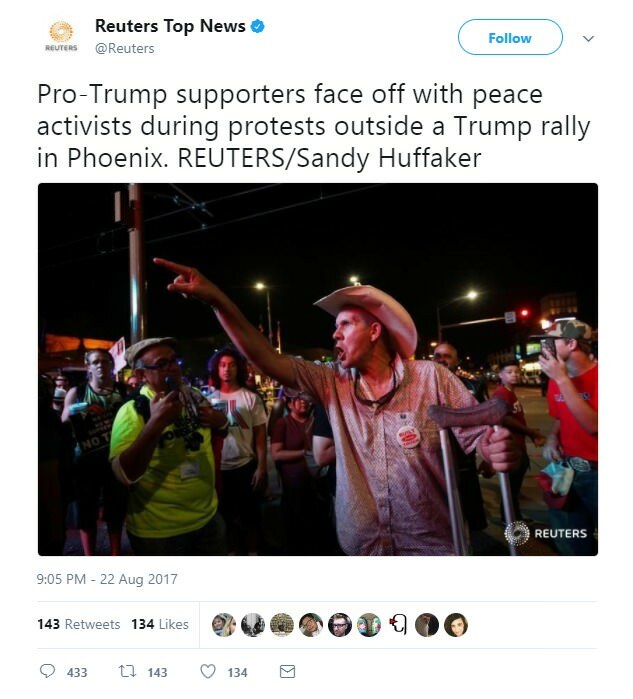 MORE MEDIA LIES: Reuters Calls Violent Antifa Rioters in Phoenix "Peace Activists"
On Tuesday night Antifa protesters once again attacked police and Trump supporters outside of the Trump rally in Phoenix. Antifa protesters were hurling water bottles at police. 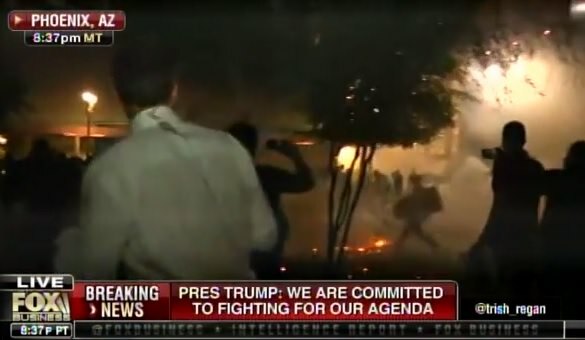 The antifa goons were attacking the police. Several violent far left protesters were arrested.